1. I was on a cruise last week and even though the first thing I did was to check out the gym, I did not end up visiting it once during the entire cruise. 2. I also planned to walk on the track on the upper deck but on this particular cruise the track was not the entire length of the deck which made it difficult. I did walk one morning and then a few of the mornings that deck was closed because it was too windy. 3. Although there was no running going on during this trip, there was a lot of walking. Even though our state room was on deck 8, we rarely took the elevator, and when we were in port we did a lot of walking. 4. Even when I returned home, I did not go to the gym for a few days. I did make sure to get a massage though. 5. I have my next 5K race next Saturday. I was so excited to keep my sub 30 time alive during my last 5K even though I lacked any good training. I doubt I will be that lucky this time around. I need to get my but in gear! It's been a really long time since I cruised, but I've run on the walking track so I guess not more than 7 yrs ago! We never take the elevators either -- those stairs are a good workout! Yes they are and we certainly walked a lot of them! It's OK to take a vacation on your vacation! I'm overdue for a massage myself. Exactly! That's why it's called a vacation, right? Skipping workouts while on vacation is perfectly fine. I try to get in workouts while on a trip, but no big deal if I miss a day or all the days! Hope you had a great trip. Where did you cruise to? I wanted to at least strength train to keep my injury at bay but it really wasn't a big deal that I didn't run. I would have loved to run on the islands but really it was way too hot. Yea, this ship was beautiful but the decks seemed very "cut up" which made the track so small. Yea, that's pretty much what I did! What cruise did you do? I used the gym I think maybe once when my family did a cruise in 2005 because we did so much walking during the excursions. The excursions were the fun part and I didn't need extra cardio. It was the Carnival Sunshine. It was just renovated in May and it was amazing! I'm sure you'll be back on track in no time! I've never been on a cruise and would love to go! Vacation is vacation! You enjoyed yourself and you'll remember that far longer than whether you were able to hit the gym. I hope you had a great vacation! Do you like cruising? Sometimes ya just need to relax on vacation and not worry about running- especially if you're walking around a lot. Seriously walking wakes me way more tired than running- especially on vaycay when I tend to walk with a purpose. Yes, I really like cruising. I like that everything is included and it's so accessible! i'm sure your 5k will be awesome - sounds like vacay was relaxing! I'm definitely looking forward to the 5K! Aww the cruise sounds wonderful. I keep saying we're going to check into one but haven't yet. Don't beat yourself up to much over that Sub-30 on a 5k. It is a lot hotter than your last race so if it doesn't happen it IS ok. I will slow down a whole minute per mile if not more in the summer. Meranda your doing great with your steps too! Thanks Tricia, yes the race will e much hotter and I think it even starts later than the last one too. You should look into that cruise. I think you and your family would like it. 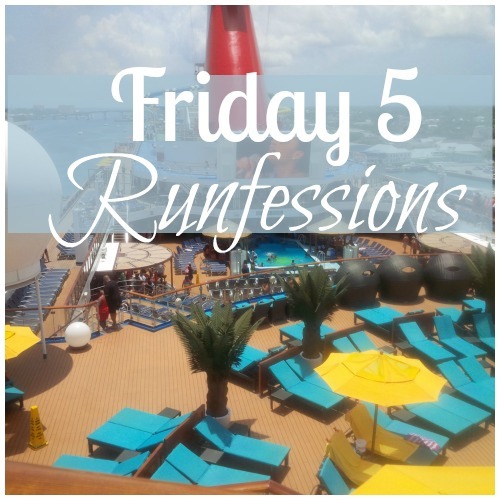 I want to hear more about your cruise! I bet you did so much walking and stairclimbing that you more than made up for not hitting the gym. And I think it's a really good thing to take a break from the workout routine every so often - it refreshes both the mind and the body! It happens to the best of us :-) I hope you had an amazing time! You'll get back to it quickly! There's nothing wrong with taking a vacation from working out while you're on vacation. We all need a break every now and then. It's hard to keep up with your training while on vacation especially on a cruise and you stayed active even if it's just walking. Plus taking the stairs to your deck sounds rigorous. Hope it was an enjoyable and relaxing one! You're totally allowed to skip workouts on vacation! No worries...you were on vacation! I've cruised twice and never graced the inside of a gym or the running track. I have no doubt there was plenty of walking. Jealous of the cruise!! I would've done the same thing though and said oh well to the workouts. Its always difficult to get workouts in when on vacation! 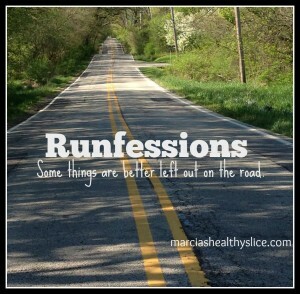 I love runfessions!! Ha, I tend to do that when I go on vacation... have the best intentions to work out and it never happens, lol. But all the walking makes up for it!! I runfess that I hit snooze for over an hour before my long run started and it was hot and ugly!!!! I'm sorry, but I was laughing a little... back in my non running days, I would stare at the gym at hotels and ask myself "Why would anybody want to run while on vacations?" I say that as long as you relaxed and had fun, the gym will still be there later. Have an awesome 5K!! or maybe the fun was already had?! I use to do the same thing, why would anyone want to use a treadmill on vacation..haha. The 5K is actually on Monday. Hey all those stairs climbing up and down the boat decks definitely give bonus count points! Hope you had an amazing trip, was it hot or perfect this time of year for a cruise? I've only cruised in Feb or March months before. A cruise sounds delightful! I usually find myself using all of my energy to walk around and sight-see and never actually go for a run or workout. Totally acceptable!